Apes on Tapes is the electronic crew fronted by Joe, Shapka and Dyami: three apes fiddling with laptops,controllers, scratching, sequencers and MCs in their own world made of pluvial-soaked bass music and hip-hop slope, speaking a wild language composed of majestic rhythms and grooves that leads up to let loose on the dancefloor. 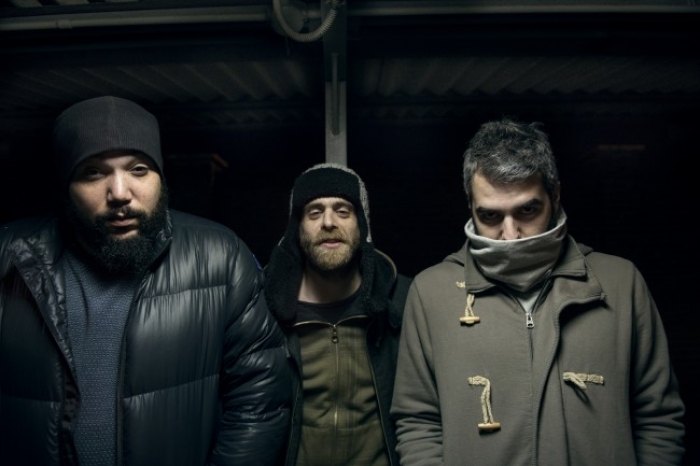 If in 2008 their first release “You Open” was followed by a feature by Berlin label Error Broadcast in its VA playlist “Bag of Nothingness”, including the best new names from contemporary hip-hop, in 2011 the release of “Foreplays” confirms the peculiar trademark of the trio and their strong presence in Italian electronic-scene. and to share stage with the likes of Mount Kimbie, Prefuse 73, Skip & Die. Recently they had performed at Eurosonic Festival and come to the attention of the NME. Their third album “Escape From Primate Island” is out now via Burnow Records.